The Air Jordan IX (9) comes back to us again, releasing apart of a Air Jordan Countdown Pack. 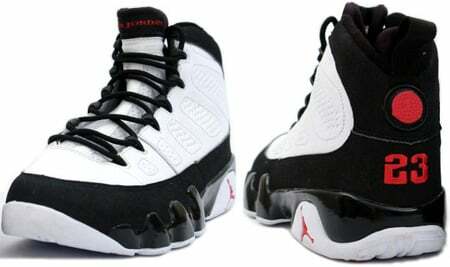 In this package, you will receive the Air Jordan IX 9 in White / True Red – Black, and a pair of Air Jordan XIV. The Air Jordan 9 (IX) Countdown Pack releases March 15th 2008, which will retail at $310. Remember they are limited. A great addition to your collection or daily routine.